The author and activist discusses why it was important for the world to know Alan Kurdi and the Syrian refugee crisis. His name was Alan Kurdi. He was just two years old. He and his family fled war-torn Syria by boat in 2015, in a desperate attempt to reach Europe. Alan did not make it. The boat capsized and he drowned in the Mediterranean Sea. His young body was washed ashore and photographed, prompting an emotional response on an international level. His aunt, Tima Kurdi, first saw the shocking photo of her nephew from her home in Vancouver. While she has been able to make a new life for herself in Canada, the death of her nephew serves as a painful and constant reminder of the once peaceful country she left behind. Kurdi is now a spokesperson for the refugee crisis in Syria. Her memoir, The Boy on the Beach, shares the story of how her family has been forever affected by civil war. The Boy on the Beach is on the Canada Reads 2019 longlist. The final five books and the panellists defending them will be revealed on Jan. 31, 2019. The 2019 debates are happening on March 25-28, 2019 and will be hosted by Ali Hassan. 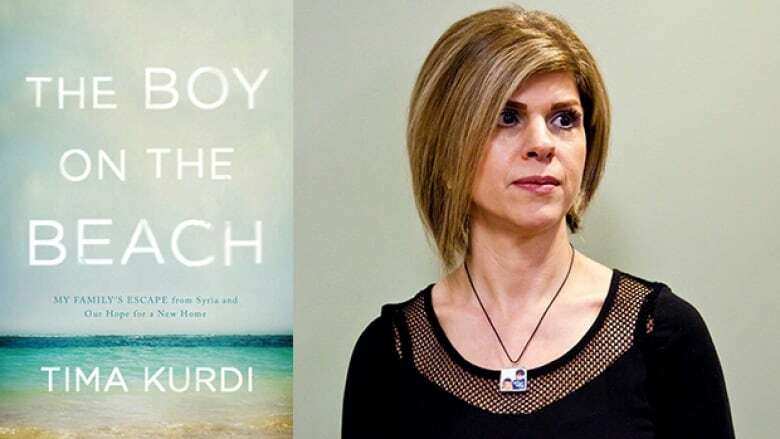 In her own words, Kurdi discusses why she wrote The Boy on the Beach. "The photo of my nephew Alan Kurdi — the boy on the beach — touched millions of people around the world. I wrote this book because I wanted people to know who my nephew really was — what his name was, and how old he was at the time of his passing. I wanted to show people, especially in the Western world, what my country is actually like — and that we are people, just like everybody else. We have families, just like everyone else, and my people have been forced to leave their home because of war and not by choice. I want the world to constantly be reminded, in their hearts, of that image to inspire them and work to help others." "Writing this book was a long process and a struggle to complete. But I wrote it from my heart — it was an opportunity to reflect back on the happy times in our lives, as a people and as a country. Writing things down gave me much hope and helped with the healing process. It helped me cope." "I wrote the book with the intention of wanting people reading it to feel and understand that we are all one family. It might be a concept we've all heard before, but it's all about hope. When thinking about Syrian refugees, we here in Canada are miles away from that reality of these suffering people. We watch the news but it's almost like we block it out because it can be depressing. In reality, we all have the power to do something, to change somebody else's life. "We should be working to empower ourselves and our community and work to help others. It's all about awareness. I hope The Boy on the Beach will be a permanent reminder in people's hearts, so we do not forget." Tima Kurdi's comments have been edited and condensed.